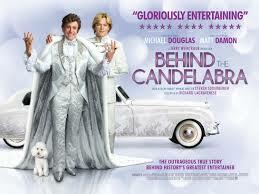 GENoz is so pleased to present the exclusive premiere screening of BEHIND THE CANDELABRA, Based on the autobiographical novel about the tempestuous 6-year relationship between Liberace (played by Michael Douglas) and his (much younger) lover, Scott Thorson (played by Matt Damon). Tickets are only $8 at box office (normally $17). With Canapes supplied by Sala's Warner's Bay and wine and champagne supplied by Drayton's Family Wines from 5:30pm. Film starts at 6:30pm.